As I mentioned previously this week, my eyeshadow skills have atrophied the past few years as I've become increasingly reliant on bold lip colours to achieve an evening-ready look. 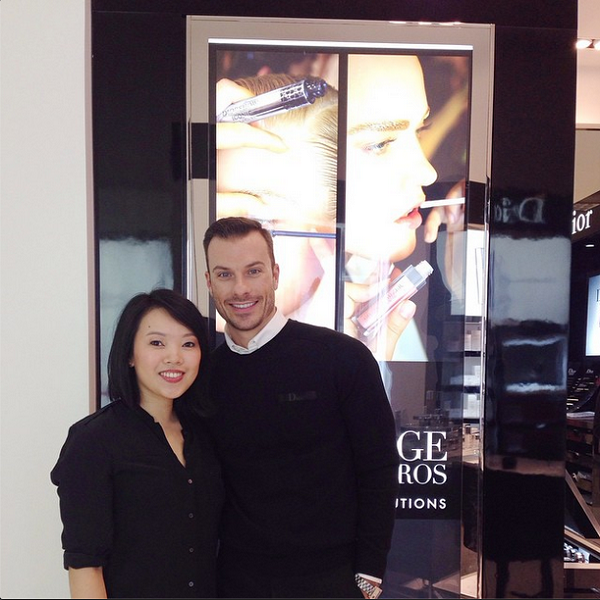 So when I was invited to meet with Diorshow national artist Pascal Grand'Maison at The Bay downtown early Saturday morning, eyeshadow tips ranked #1 on the list. Over the next two hours, the staff at the Dior counter gave me a complimentary facial (did you know they have a skincare cabine where they offer complimentary facials with product purchases on certain weekdays?) and Pascal performed a makeover, focusing on eyeshadow application and sharing tips. Here's what I learned from our one-on-one session. 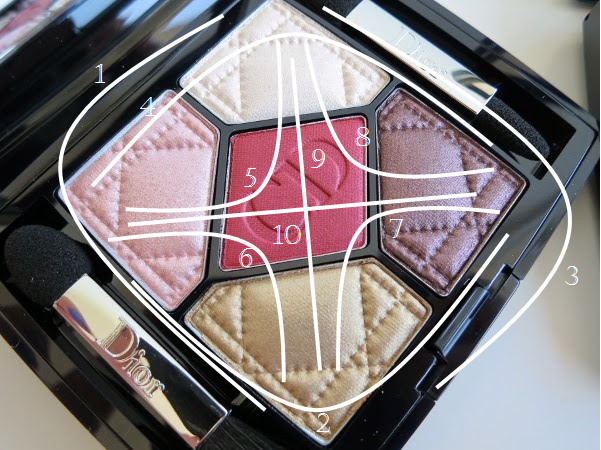 Out of all the newly relaunched Dior 5 Couleurs eyeshadow palettes, the one I found most challenging was 'Trafalgar'. 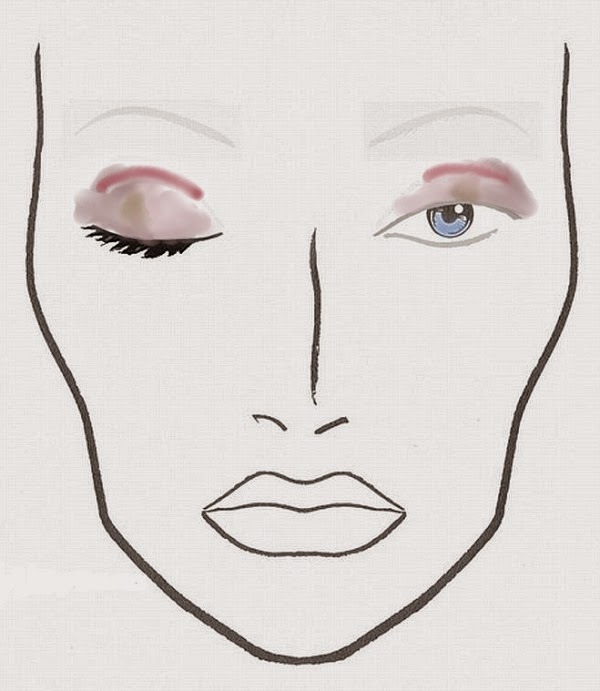 How does a girl incorporate the red into her eye makeup in a subtle, sophisticated way? Pascal assured me even though the red might seem difficult, it was entirely wearable. The pamphlet included in the 5 Couleurs palettes explains that the top 3 shades (pink, red, platinum) can create a day look, while the bottom 3 shades (bronze, red, brown) are for evening. But Pascal explained that there are 10 possible colour combinations in every 5 Couleurs palette as shown by the white lines below. This is if you choose to wear eyeshadow shades in trios. If you only wear 1 or 2 colours, or even all 5, the possibilities increase even more. 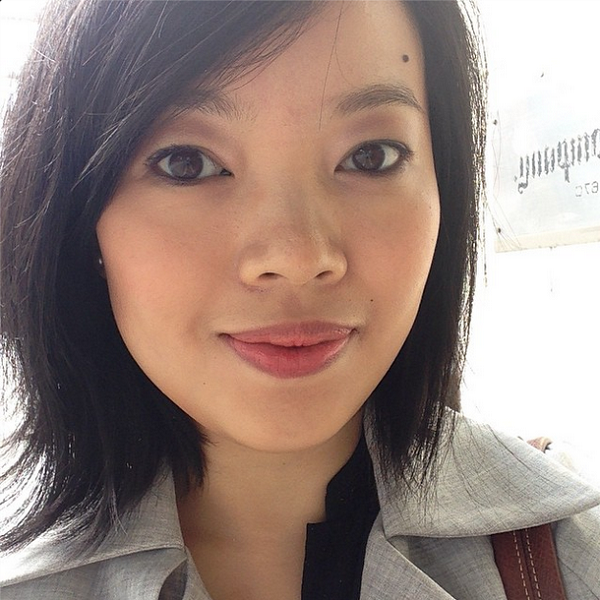 "I always have clients tell me 'My makeup never looks this good when I do it.' I tell them it's because I blend and use brushes," Pascal explained. The face chart below roughly shows where Pascal applied the different shades. Most notably, he concentrated the darker colour on the outer half of the lids, extending it to the crease and blending it up toward the browbone. He traced the red shadow in a faint line along the crease. Throughout all this, he blended out hard edges as he went along. Then he started improvising, picking up more pigments, tapping the excess off, and applying it, blending each time. The result was a beautifully contoured effect in which you can't tell where one colour ends and another begins. They help pick up any shadow fallout and get rid of mistakes with precision. Paying attention to the little things will elevate your eyeshadow look. Before doing your eyes, prep lids with a primer like Dior Backstage Eye Prime to intensify the pigments, prevent creasing, and help the shadow last longer. Then define brows with a pencil like Diorshow Brow Styler so they really frame the eyes. After applying eyeshadow, use a black waterproof liner like Dior Eyeliner Waterproof as close to the lashline as possible, pressing it wherever there are gaps to fill them in and create the illusion of thicker lashes. Then line the inner rims of your upper and lower lashline with a waterproof navy liner to make eyes appear brighter. (Don't forget to smudge the lower lashline for a more lived-in look!) Lastly, finish off with mascara; Pascal used a combination of Diorshow Maximizer Lash Plumping Serum and Iconic Overcurl mascara. This was perhaps the biggest takeaway from my time with Pascal. He was meticulous but at the same time so playful with how he used colour and tweaked the look with more shadow here, more blending there as he went. His playfulness definitely inspired me to be more creative with colour combinations and placement. Just keep your primer, blending brush, and Q-Tips close by and you'll be fine. I would really benefit from this sort of guidance from a professional. I think I play it far too safe with my eyeshadow, but I really like the look of this palate so I might invest in it and use your guide. Thanks for posting! Glad you found it helpful, Chiara!